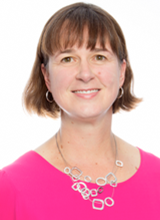 Cheryl Poth is a faculty member and award winning instructor in the Centre for Research and Applied Measurement and Evaluation in the Department of Educational Psychology at the University of Alberta, Edmonton, Alberta, Canada. In this role, she has developed and teaches graduate courses in research methods and program evaluation. Dr. Poth has an adjunct appointment in the Faculty of Medicine and Dentistry and serves as the methodologist on several cross-disciplinary research teams. Her specific research interests include enhancing research quality and collaborative research teams in the fields of education and the health sciences. She is an advisory board member of the International Institute of Qualitative Methodology and fourth president of the Mixed Methods International Research Association. She currently serves as associate editor of the Journal of Mixed Methods Research and editorial board member of the International Journal of Qualitative Methodology and Canadian Journal of Program Evaluation. She has recently co-authored with John Creswell on the 4th edition of Qualitative Inquiry and Research Design (2017, Sage) which was recently awarded Sage’s Cornerstone Author award and is working on a Mixed Methods Research book with Sage publications (forthcoming in late 2018). © 2004 - 2018 http://www.sta.uwi.edu. All Rights Reserved.